Back in January, I reviewed the BOX4BLOX Lego Storage system. With four sons of varying ages and sizes, a way to keep my older boys’ Legos organized and off the floor (and out of the toddler’s hands – and mouth) is an absolute necessity. But who wants to go to the hassle of picking up all those teeny tiny pieces, especially when you’re just going to have to dump the whole bin out to find the little piece you’re looking for anyway? The BOX4BLOX system solves that problem in two ways – first, it adds an element of fun to picking up Legos, because kids get to shake the container to make the Legos fall through a sorting grid, which is entertaining (especially to my 9-year-old). And then when your kids go searching for that particular piece they need, they don’t have to empty the entire container to find it. Since the BOX4BLOX sorts the pieces by size, your kiddo can lift the trays to find just the right size piece. The BOX4BLOX, which was voted the “Best Home Organizing Product of the Year” by the National Association of Professional Organizers (NAPO), comes with a 5 year guarantee to replace any broken or damaged parts. It’s made out of safe, high quality ABS plastic (the same plastic that Legos are made out of). When it’s assembled, it makes a 10¼ inch cube that holds approximately 1700 Legos! (Depending, of course, on how many Legos of various sizes you put into it). Although it’s not a toy, a BOX4BLOX makes a great gift for kids (or for mom & dad!) My sister has two sons also, a seven-year-old Lego Lover and an almost one-year-old. Over Christmas, she mentioned that she’d been looking for a way to keep her older boy’s Legos picked up, and that she thought the BOX4BLOX would be the perfect solution. So guess who’s getting a BOX4BLOX as a gift? The BOX4BLOX doesn’t come with any blocks, so I’m planning on buying a package of Legos and dumping them into the BOX4BLOX before wrapping it up, so my nephew will get some new Legos AND a way to keep them neat and organized. I’m still hoping this product will be expanded into the medium-sized building block market. The baby-sized blocks that my one-year-old uses aren’t so bad, since they’re large enough that they’re not much of a stepping/vacuuming hazard, but those medium-sized blocks are the devil. My 9-year-old son with autism prefers the medium blocks over the small sized blocks (less frustrating to put together and pull apart, which means fewer meltdowns), but has rejected our organizational efforts so far. I’ve found those blocks everywhere – not just scattered about the living room, but also tossed up into the ceiling tiles so mom has to get a ladder to retrieve them, microwaved so mom has to install a lock on the microwave, and even flushed down the toilet so mom has to snake them out. (A note: Whereas small Lego blocks are typically small enough to go right through and never be seen again, those medium blocks don’t flush all the way down. You have to snake them out to make the toilet functional again. Do you know how many of those blocks will fit in the trap of a standard toilet? Our record so far is nine). If you’re tired of cleaning up/stepping on/vacuuming up Legos, you can get your own BOX4BLOX for $42.99 (and free shipping) on the BOX4BLOX website. (Fulfillment is by Amazon). One lucking Dividing by Zero reader is going to WIN the BOX4BLOX Lego Storage Organizer! 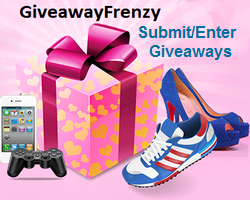 This giveaway is open to U.S. residents only and ends March 13, 2015 (11:59pm EST). Enter below – good luck! I really like they offer a 5 year guarantee. I also like how it sorts the different size legos making it easy to find the size you want. I learned that it is made from the same high quality ABS plastic that Legos are made from. I learned they are manufactured at an injection molding plastics company both in PA and the United Kingdom. I love that it can hold 1600 legos, and has a 5 year warranty. I learned that when the Box4Blox is assembled it is a 10¼ inch (260mm) cube. I like that it separates the Legos by size. Love that it organizes for you, keeping everything separated by size. This is so much easier than the container we have now where everything is all slapped together making for a heck of a time finding the piece you want or need. I learned that The BOX4BLOX is the ideal accessory for every Lego lover, either as a Lego storage solution or simply to be used as as a Lego sorter to help keep those larger Lego collections better organized and under control. I learned that it not onlt serves as a lego sorter but can be used as a storage container also. The Box4Blox holds over 1600 lego blocks. It can hold over 1600 Legos! The Box4Blox provides room to store over 1600 Lego blocks as well as separate the sizes. It a great design for orgaizing young children’s Legos. I learned that the Box4Blox is made from the same material that Lego is made from. And they guarentee it will last the test of time. I learned that the box sorts the Legos by size in addition to storing them. I learned that they are so confident of the quality and durability of the BOX4BLOX they promise to replace any damaged or broken parts for 5 years after purchase!! I learned that each Lego brick ends up in a tray with similar sized pieces, makes finding parts easy, especially those tiny hard to find bits and pieces that end up in the bottom tray. The biggest thing I learned is NO more Legos in my feet! I love that kids can sort legos by themselves! I love this!! I can’t believe it can hold over 1600 legos!! I love that they are not only organized, but sorted!! Great invention!!! What a great addition to my son’s Lego collection! I love how the different sized grids on each tray sort the bricks. I learned that the box is made from the same quality plastic actual Legos are made out of. I learned that by grading the Lego pieces through a series of trays with different sized grids, each Lego brick ends up in a tray with similar sized pieces, makes finding parts easy, especially those tiny hard to find bits and pieces that end up in the bottom tray. I love that Box4Blox not only provides storage but sorts the blocks as well! I love how it looks like a giant Lego box itself. So cute and perfect for the playroom. I learned that it works similar to a coin sorter. You drop the Lego pieces down the top of it and it sorts them by size. Pretty cool, I think! I learned it can hold over 1600 Lego blocks and they have a 5 year guarantee. I so need one of these!